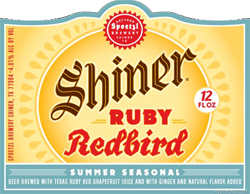 On the bottle cap, Ruby Redbird claims to be “The Perfect Summer Beer”. The back the label states “There’s Nothing FINER! THAN A SUMMERTIME SHINER!”. These are bold statements about a beer brewed with ginger and grapefruit – two flavors that sometimes don’t work so well together. 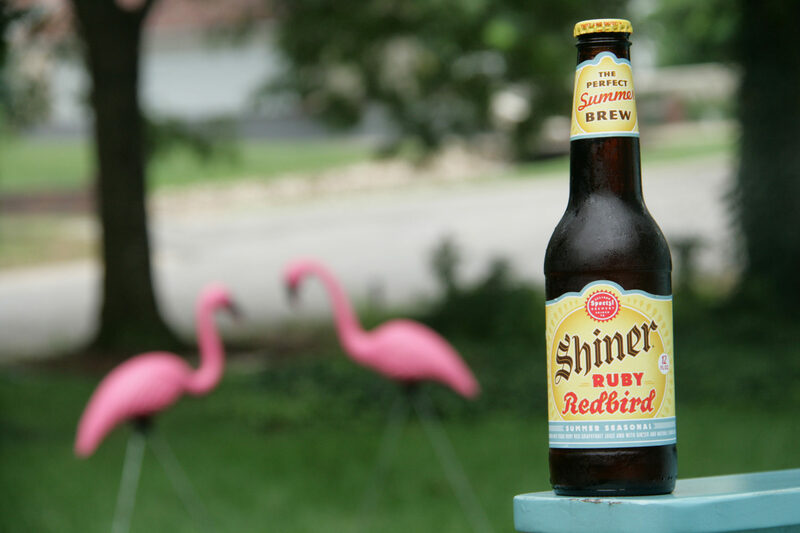 Ruby Redbird summer beer has a distinguishable amber color with a pink tint. 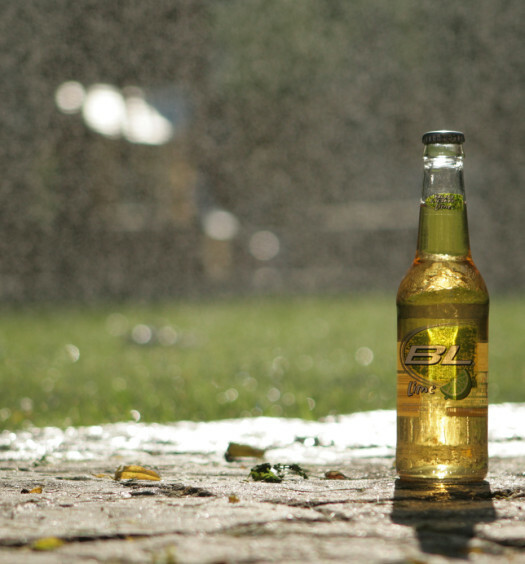 The head almost instantly fizzes away, and the aroma is pure grapefruit. Ruby Redbird enters the mouth with a fizzy ginger and less grapefruit than expected. The ginger is not too heavy so it is palatable. The beer has a sweet and sour tone, much like a grapefruit. Ruby Redbird is carbonated like a soda and tastes like a ginger ale / lemonade / beer mix. 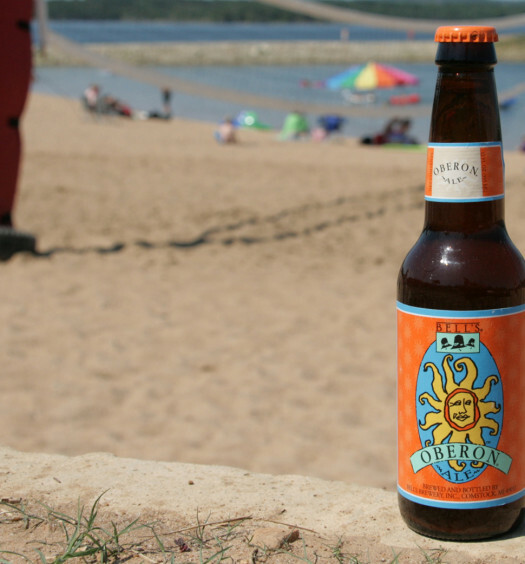 It is light, interesting, and refreshing for a good summer beer. You will either love or hate Ruby Redbird.